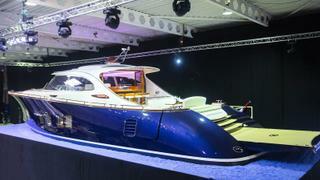 Dutch yard Zeelander Yachts has revealed its largest yacht yet, the Z72. The 22 metre yacht, which features exterior design handled by Cor D Rover in collaboration with Zeelander's in-house design team, is now the yard's flagship yacht. The Z72 "blends a stylish appearance with some truly unique superyacht features," the yard said. Key exterior features include an S-Shaped deck line, rounded stern and “more curved surfaces”. When extended, the swim platform extends the length of the boat to over 22 metres. Meanwhile, the “sophisticated but comfortable” interior design has been handled entirely in-house and features panoramic windows and large social areas. 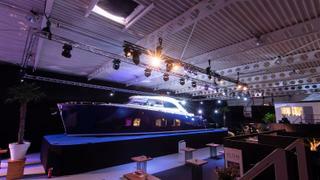 The yard revealed that the yacht's owner has been actively involved in the design process. Being someone who "loves a good party," the yard worked hard to accommodate more of his guests. 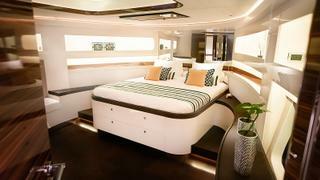 Accommodation will be for six guests in three staterooms comprising of a master suite and two guest doubles. The crew quarters will sit on the lower deck, adjacent to the tender garage. Power comes from triple Volvo Penta IPS engines for a top speed of 40 knots. 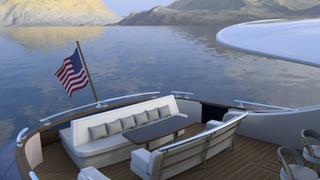 The Z72 will have a range of 680 nautical miles at 24 knots.